Posted January 8, 2015 by nathan & filed under Home Finders Announcements, Real Estate Investing, Tulsa Foreclosure Market, Tulsa Real Estate Market. Investors can now use the free search feature on the Home Finders website to find investment properties for sale in Tulsa and the surrounding areas. 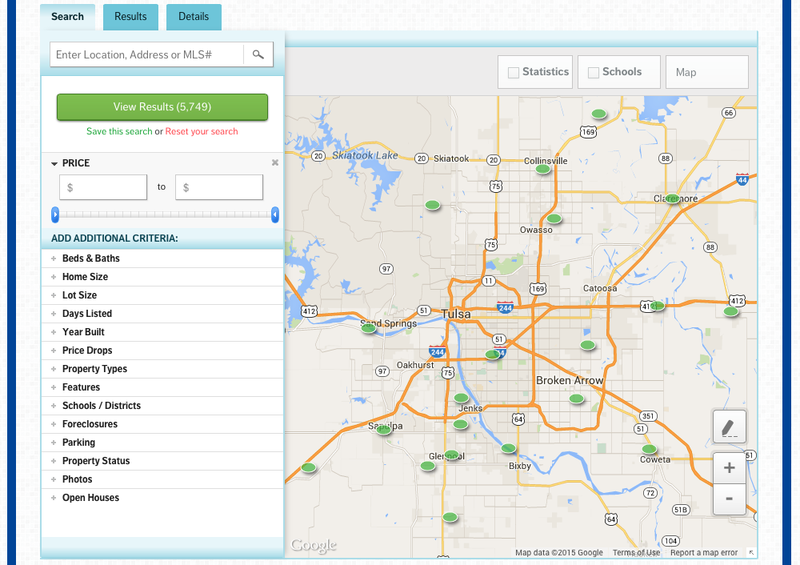 Home Finders is pleased to announce that visitors to our website can now search for Tulsa investment properties for free. After an extensive review of available search providers, Home Finders selected DiverseSolutions, a company owned by Zillow.com to provide the map-based search feature for our website. The search is fast, fun and free to all website visitors. Users can even register to save custom searches and favorite individual properties. Using the search feature is as easy as visiting the For Sale page, adjusting the sliders to select price range, and clicking on the desired town. To refine the search, users can easily select a number of criteria such as those seen in the screen capture below. For more information or to discuss how Home Finders can help you acquire your next Tulsa investment property, call us today at 918-665-0212, option 4.